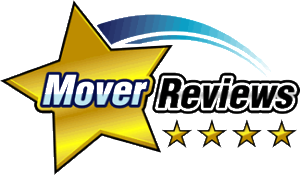 Deduct Moving From Your Taxes - Moving Services Inc. | Moving Services Inc.
Tax information and tips related to moving. If you are moving to a new home, you undoubtedly have a lot to think about, including whether you can deduct your moving expenses from your taxes. This brochure helps to explain who can deduct moving expenses and what expenses you can deduct. Move Related to the Start of Work — Generally, you can deduct moving expenses incurred within one year from the date you first report to work. Time Test — You may qualify for a deduction if you work full-time for an employer in the general vicinity of the new job location for 39 weeks during the 12-months following your move. This condition is waived if you: 1) cannot satisfy it because of death, disability, or termination for reasons other than for willful misconduct, and 2) it is reasonable to expect that you would have otherwise fulfilled the condition. If you are self-employed, you must work in the new location (as a self-employed person or as an employee) for at least 39 weeks in the first 12 months and 78 weeks during the 24 months following your move. If you pay the expenses in one tax year, but do not satisfy the working requirements by the filing deadline, you may still deduct the expenses if you reasonably expect to satisfy the condition in the succeeding tax year. However, if you fail to satisfy the requirements in the next year you must either: 1) report an equal amount of income, or 2) amend the prior year’s return. Foreign moves and moves by military personnel are subject to some exceptions. In these situations, seek the advice of a professional tax advisor. You may not deduct expenses in excess of a reasonable amount. The non-reimbursed cost of moving household goods and personal effects to a new residence is permitted as a deduction in determining federal adjusted gross income. This includes the actual cost of transportation or hauling from your old residence to your new one; the cost of packing, crating and unpacking; storage-in-transit and valuation (each limited to 30 consecutive days). Report non-reimbursed moving expenses on Federal Tax Form 3903. The cost of transporting your household pets, including dogs, cats, tropical fish, etc. Select Libraries — audio and video recordings for help with Federal Tax Forms. For tax publications, forms and instructions, call the toll-free IRS Tax Form line: 800-TAX-FORM (800-829-3676).